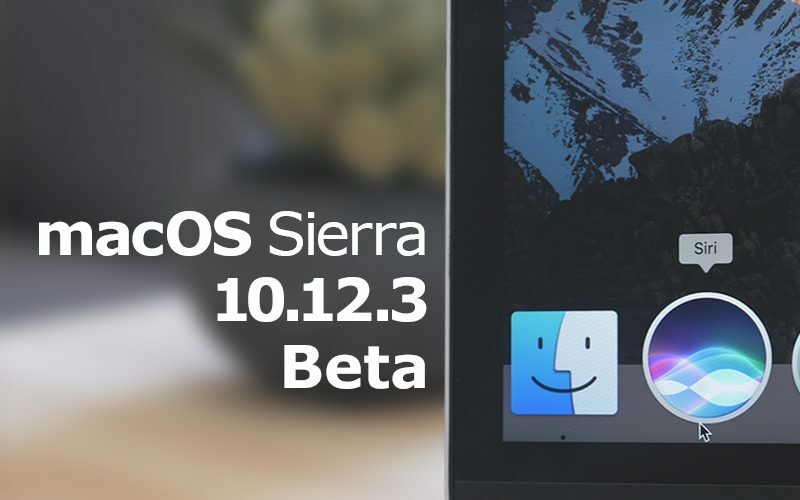 Apple today seeded the fourth beta of an upcoming macOS Sierra 10.12.3 update to developers, a few days after seeding the third 10.12.3 beta and more than a month after releasing macOS Sierra 10.12.2, the second update to the macOS Sierra operating system. The macOS Sierra 10.12.3 update is available for download through the Apple Developer Center or through the software update mechanism in the Mac App Store. According to Apple's release notes, the 10.12.3 update "improves the stability, compatibility, and security of your Mac." No specific changes, bug fixes, or feature additions were discovered in the first three betas, but we'll update this post should any new features be found in the fourth beta. With bug fixes, it's often hard to determine exactly what's included in an update until Apple supplies detailed release notes with a release. We do, however, know that this update fixes a Safari bug that caused battery life problems during the MacBook Pro testing conducted by Consumer Reports. Update: The fourth macOS Sierra 10.12.3 beta is also available for public beta testers. I have the new mac and the new 4k display. It's not fixed, or there are other graphics bugs. I agree this is the worst mac I've ever had. The display comes on in the middle of the night from sleep and doesn't come on when opening the laptop. Same glitchy graphics as ever. Since updating 10.12.2, I've been noticing some strange behavior with Safari - particularly with opening new tabs. When I enter an address, that website will seemingly "take over" another tab that is currently open. If I have say Google and Facebook open, opening a new tab and navigating to MacRumors will cause either Google or Facebook to do the same. It's the weirdest thing. It says my Photos Agent.app & Spotlight.app are using significant energy which is strange as my Photo app is not running, nor and am I actively using Spotlight. Photos Agent is a background app that handles Face Detection, location, and syncing. Spotlight is most likely indexing your drive—in the background. So while you THINK you're not using them, you actually are. Hmmm, that damn iTunes sync bug needs to be fixed. I learned from Apple employee that installing beta leaves some junk on the phone that cannot be removed unless you setup phone as new. Some of the issues that I experienced includes (1) super slow "copying diagnostics", (2) local video not syncing with TV app, and (3) ballooning iCloud backup size. Needless to say, I shan't bother with iOS beta anymore. Great. But what does that have to do with macOS? Since the last 2 betas i seem to have problems with MDS and MDworker again, I say again cause I had this problem before a few years back, adding all disks to Spotlight Privacy Tab won't work, even after killing both processes it still reads and writes too much and eats processor time. But, what is fixed in this last beta (for me) is that my sleep light works again after not working for a long time. So I have to log back in to iCloud, iTunes, the App Store, FaceTime and iMessage on all my devices. I've become efficient at this process but it's irritating. This time, before installing the beta I thought ti try logging out of iCloud on my laptop before running the installer. NO different. I don't see other posts on this, so is this only happening to me? I log a Feedback each time, but anyone got any ideas what could be doing this? It seems the install must be probing my account with an old password somehow and failing. What happens if you (next time with an update) create a new empty (Admin)User, log into that one and update from there. As above, open Activity Monitor and see if MDworker and MDS are using considerable resources, these are Spotlight processes. Seems to me Spotlight/MDS/MDworker do have some problems again. I just switched off spotlight altogether, problem gone.